The 2:00 a.m. call is the first time Lexie Vidler has heard her sister's voice in years. Annie is a drug addict, a thief, a liar--and in trouble, again. Lexie has always bailed Annie out, given her money, a place to sleep, sent her to every kind of rehab. But this time, she's not just strung out--she's pregnant and in premature labor. If she goes to the hospital, she'll lose custody of her baby--maybe even go to prison. 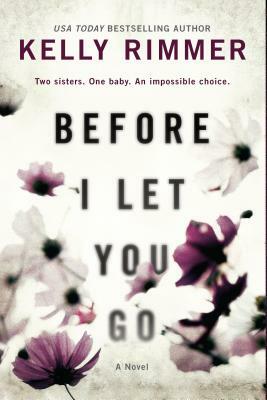 But the alternative is unthinkable.As the weeks unfold, Lexie finds herself caring for her fragile newborn niece while her carefully ordered life is collapsing around her. She's in danger of losing her job, and her fianc only has so much patience for Annie's drama. In court-ordered rehab, Annie attempts to halt her downward spiral by confronting long-buried secrets from the sisters' childhoods, ghosts that Lexie doesn't want to face. But will the journey heal Annie, or lead her down a darker path?Both candid and compassionate, Before I Let You Go explores a hotly divisive topic and asks how far the ties of family love can be stretched before they finally break.